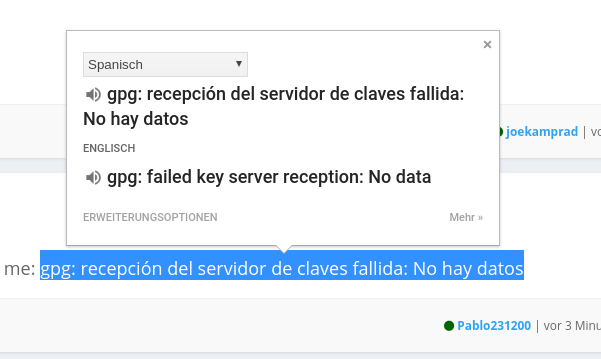 I’m trying to install Spotify from the aur repositories, but it always gave me an error, I’m tring to download different versions in orden to try more possibilities, but they don’t work too. 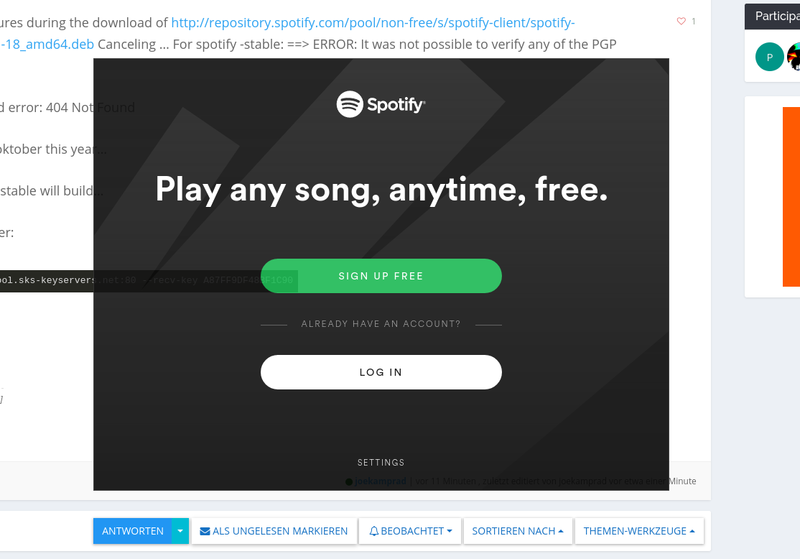 ==> ERROR: There were failures during the download of http://repository.spotify.com/pool/non-free/s/spotify-client/spotify-client_1.0.92.390.g2ce5ec7d-18_amd64.deb Canceling … For spotify -stable: ==> ERROR: It was not possible to verify any of the PGP signatures! How can I build and install it? Finally spotify has released a new version and now works. but what @joekamprad said worked!